The founder of Ektta, and co-founder of SoPact, Hetal holds a deep passion for establishing enduring impact management practices in social sector to have a built in learning and accountability. Congratulations SOCAP for ten years of capital advancing investment to generate community level impacts! 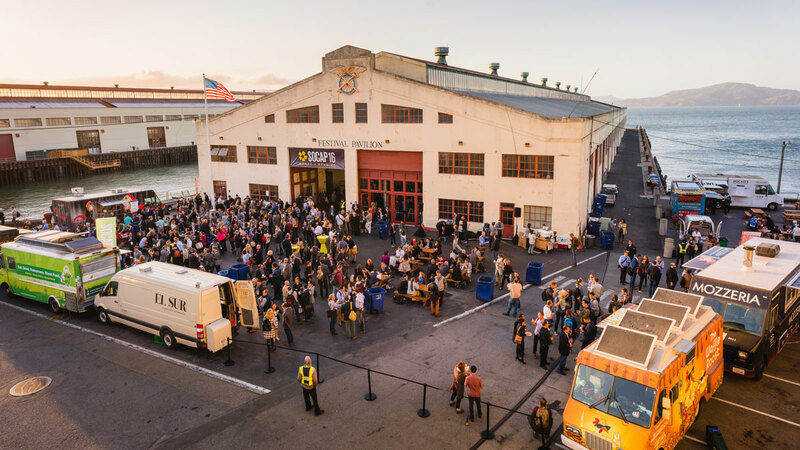 At SOCAP every year there is a palpable excitement that goes pretty much unabated until the final sessions on the final day. It’s a flurry of panels, a wave of new ideas, and a rush of fresh conversations and new contacts. The week after is a time to reflect and follow-up. A where-do-we-go-from-here kind of assessment with oneself and/or with one’s teams. In that process at Sopact we’ve identified four key things we learned from this year’s edition of the conference, that I like to share, as well as how they will continue to motivate us in our work moving forward. 1. People are more receptive to the topic of impact measurement. Whether we’re talking to investors, social entrepreneurs, or other business leaders the importance of impact measurement as a key driver of the success of the impact investing sector continues to rise. In the last five years, attendees have moved from what is impact measurement to how can we measure and manage our impact? We noticed this in our conversations with attendees and also in the discourse on stage amongst the various panelists and speakers. Of course, at Sopact we are driven to optimize the quality of the impact measurement employed by our clients so that they can achieve better organizational and beneficiary outcomes to learn from them as well as unleash higher social capital. a) Our work is proving its value, people are getting increased social capital when they can demonstrate or project the impact. b) There is more and more demand for impact measurement tools and knowledge systems. They know the methodologies and frameworks but now they are demanding actionable solutions to use the frameworks. 2. Impact investors still trend towards the financial return side of the spectrum. Aversion to financial risk remains a key driver even amongst self-defined impact investors. That’s not to say that the impact investing sector hasn’t grown, isn’t making great strides to better measure and demand impact returns, or that the sector itself doesn’t want to affect positive social change. It is simply an observation that on the spectrum between impact philanthropy and traditional investing, the scale still tips towards the traditional investing risk management style. It makes sense. The majority of investors worldwide still subscribe to those strategies so any movement towards prioritizing impact-seeking will take longer. Given the urgency of this moment in time, however, we hope that the inertia grows towards a more balanced approach worldwide. 3. Systems change is one of many buzzwords of the day. We were pleased to see a more holistic, systemic mentality towards the impact on display on stage and in the discussions and SOCAP this year. We heard a deeper understanding of how impact initiatives can and need to be structured for them to scale, endure, and shift the unjust equilibriums that perpetuate cycles of poverty around the world. This is an especially exciting development in the impact zeitgeist because it highlights the fact that we need to connect impact players across sectors to achieve such systemic change. And that is what we do at Sopact – support accountability, collaboration, and efficient execution at every layer of the impact management ecosystem. We feel we are poised to help this broader ecosystem, which is becoming more aware of the need to connect the dots amongst the stakeholders involved in achieving local and global change. Two impact actors, let’s say an asset (a social enterprise) and an asset owner (an investor) may both be seeking the same general impact outcomes. For argument’s sake, let’s say that outcome is a reduction in infant mortality rates in rural Bolivia. Depending on how each player is accustomed to measuring how well that outcome is being achieved, there may be differences in how that change is perceived to actually be occurring. At SOCAP, we saw this issue on display in the discussions about measuring impact returns. It’s not that there is not an awareness of the issue, the problem is that it hasn't quite been resolved yet. Standardized impact measurement systems run the risk of not being relevant for certain contexts, or not nuanced enough. Customized systems are hard to use in a comparable sense because of their very nature as custom/unique systems. Alignment to impact frameworks like Impact Management Project is on many impact investor's mind. This collaborative framework needs an aligned tool to widen its implementation. Finding the sweet spot that allows for comparability without compromising contextual relevance remains an important, yet unsolved issue for the impact sector. With each observation comes a reinvigorated sense of purpose about what needs to be done to support the sector, and of course, how we at Sopact can and are serving those needs. As people become more receptive, open, and eager to dive into an impact measurement and management journey it is increasingly important to be able to meet that demand with the right tools and trainings to make that transition a reality. As impact investors slowly test the waters of a more balanced, impact-sensitive, approach, they also need to have the tools and skills to be able to truly leverage impact data and assess impact returns (and risk) in their portfolios. As systemic approaches to generating positive social change are more sought after, the players in the ecosystem need to be able to work together for end-to-end impact management of such initiatives. Read more about impact measurement and management tools. And as our impact languages evolve, being able to make sense of cross-cultural and cross-contextual impact metrics becomes an increasingly urgent need. With a shared language we achieve shared understanding both of what went right, what potentially went wrong, and how we can move forward together in order to create more of the former. Are you ready to see how all we can move the needle together?